I have been in Liberia for one week. I still cannot get over how quickly the renovations are The Green House are going! The house is transforming before my eyes every day! The speediness and ease of the repairs is a huge answer to prayer! I am guessing that all of the repairs will take about two more weeks. I have honestly never seen things happen this quickly in Liberia! Thank you all for your prayers, and for everyone who has backed this God-sized dream with your finances! This would not be possible without you! Here are some pictures from the construction process. Cutting down the bamboo and digging the trenches for the fence. This is how you get cement blocks in Liberia. Taking off the old zinc. The old zinc in front and the new zinc in the back. The beginnings of the front fence. The side and front fence--brick by brick. 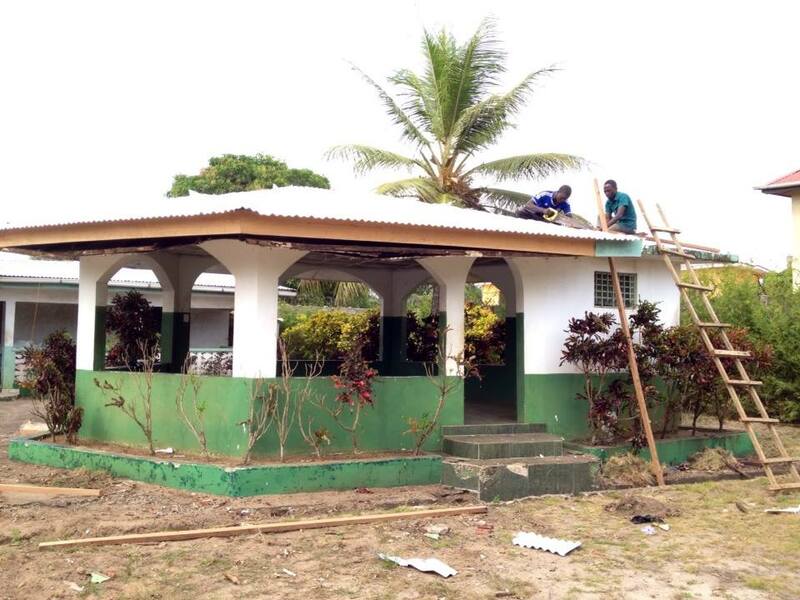 The new roof on the palava hut is complete! 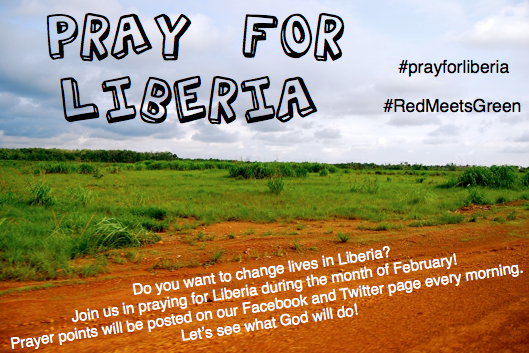 During the month of February, we hope that you will join us in praying for Liberia. We hope that you will join the army of people who will lift Liberia, the Cooper Beach community and Red Meets Green's ministry up every day. You can find daily prayer points on our Facebook Page and Twitter. You can also use #prayforliberia. We are expectant for how God is going to move and work in Liberia because His people are praying thousands of miles away! This Christmas, consider purchasing gifts that will literally change lives in Liberia! Please check out our Good Gifts Market on the Red Meets Green Facebook page [go ahead and like us while you're there], where you can shop from over 60 unique handmade items from Liberia. If you don't see the perfect gift for your loved there, then you might consider making a donation in honor of friends, family members or other special people in your life. Each honoree will receive a Christmas card [shown below] telling them of the gift that has been given on their behalf. This Christmas, don't give another sweater that just gets returned to the store, or a gift that will just be tossed on the pile in the corner. Give unique and beautiful gifts that will tell a story...a story that you are a part of! These gifts will change the lives of people in the Cooper Beach community in Liberia! Thank you! We will be contacting you shortly to complete your donation. Check your inbox for an email from ashley@redmeetsgreen.org.